The Diocese of Youngstown Safe Environment Coordinator is Msgr. John Zuraw. Click here for the diocesan Safe Environment web page. 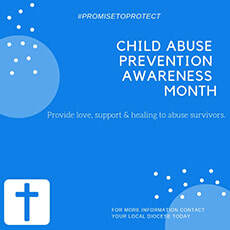 CLICK HERE for USCCB resources for Child Abuse Prevention. CLICK HERE for "Catechizing in an Age of Scandals: Tips for Being Prepared," from Catechist magazine. CLICK HERE for the Vatican response. CLICK HERE for the Letter of His Holiness to the People of God. CLICK HERE for the United States Bishops' immediate response to the grand jury report. CLICK HERE for Cardinal Daniel N. DiNardo's response to Pope Francis' letter to the People of God. CLICK HERE for the Statement from the National Review Board Calling for Lay Leadership Amid the Sexual Abuse Crisis. CLICK HERE for the Diocese of Youngstown response to the Pennsylvania Grand Jury Report. CLICK HERE for the letter from Bishop George V. Murry, SJ, in response to the Pennsylvania report. CLICK HERE for the diocesan press release of the list of names of of those who have served in the Diocese of Youngstown since its establishment in 1943 who have been credibly accused of sexual abuse of a minor and who have been reported to civil authorities. These filmmakers staged a scene of abuse to see if any bystanders would intervene. 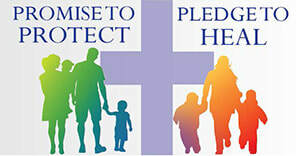 National Child Abuse Prevention Month from the USCCB. Catholic Diocese of Youngstown, Ohio. Here is one man's story, told honestly and bravely of healing after being sexually abused as a child by a trusted family friend. by Maggie Wilson McCarty, Robert J. McCarty. 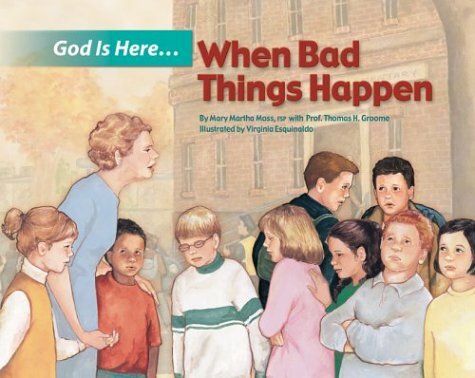 written by Mary Martha Moss with Thomas H. Groome ; illustrated by Virginia Esquinaldo. ​Identifies more than thirty of the most common pastoral care issues today's young people face, such as addictions, behavioral and mental illnesses, grief, suicide, divorce, and violence. Keeping Your Child Safe Series: Featuring Safe at Last, Speak Up, Say No!,and For Pete's Sake, Tell! Elaine Krause, elementary educator brings her vital message about physical and sexual abuse to young children in gentle parables. The DVD contains three segments in both English an Spanish. Analyzes the sexual abuse scandal that has plagued the Catholic Church, explaining how denial and misplaced loyalty by Church officials has impacted the scandal and the world's view of the Church. 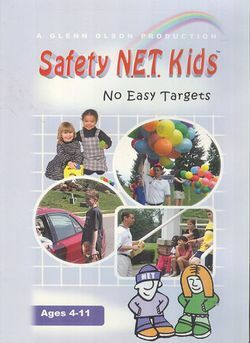 Explores 6 lessons for children to help keep them safe from predators. ​As the survivors of childhood abuse speak up and reclaim their lives, author Patti Sherlock offers a sensitive companion to those setting off on a healing journey in this volume of spiritual reflections.